Upscale hotels, indulgent restaurants and picturesque snow-covered slopes: Italy’s ski resorts truly embody this country’s love of the finer things in life. We pick our top five places to sample the very best that the Italian Alps has to offer. Nestled between the mountains of Alta Badia, Corvara is a perfect suntrap for your winter holiday. The valley’s first ski school was founded here in the 1930s, and the resort’s modern lift system gives access to two nearby nursery slopes, as well as some gentle blues. If you’re seeking a challenge, the Sellaronda round trip and the pistes of the Dolomiti Superski – the world’s largest ski carousel – have a choice of breathtaking runs, like the Vallon-Boè and the Col Alt. When the sun goes down, retire to the luxurious Hotel Sassongher. Its traditional, wood-clad interior exudes cosy warmth, and all of your favourite holiday comforts will be close to hand, including a swimming pool, sauna and spa. Indulge in a glass of Tyrolean wine at the Piano Bar, before heading to the hotel’s restaurant, where you can book a secluded Stube (a parlour) for a truly atmospheric evening. It’s also steeped in history: the oldest parlour dates back to 1520. Cortina is one of Italy’s most fashionable resorts, frequented by weekenders from Rome and Milan who flock here for the boutique shopping and high-end cuisine. The draw of gourmet restaurants and designer stores means that the slopes can be surprisingly quiet so you can expect fresh runs and short queues. This attractive town has a distinctly Italian style, and the cobbled Corso Italia, the main street, is lined with exclusive shops and bars. Access the south-facing slopes of Faloria for broad cruising pistes that are best for intermediates skiers. Alternatively, hunt out a challenging black at 2,930m and ski across to Rio Gere (1,680m), before taking two high-speed chairlifts to Son Forca and beyond. The Grand Hotel Miramonti Majestic, with its pool, hot tub and spa, is a truly high-class location – it even featured in the James Bond classic, For Your Eyes Only. It’s a wonderful place to call home for a week, with handy free shuttles to the ski lifts and an even handier piano bar with a picture-perfect panoramic view. At the foot of Mont Blanc lies the traditional Alpine resort of Courmayeur, which has a range of blue runs for beginners, as well as 30km of cross-country trails. For an adventurous day out, whisk yourself off to Chamonix via the Skyway Monte Bianco cable car, from where you can take in the dazzling views. Seasoned skiers will be blown away by the off-piste opportunities, which include a chance to try heli-skiing. For a truly thrilling experience, ski down the spectacular Toula glacier from Punta Helbronner – it’s a 2,000m vertical descent. Gourmet lovers will be content in Courmayeur. Tucked between the Pra Neyron and Maison Vieille lifts, the Maison Vieille restaurant has a snug wood-burning stove indoors, and impressive views from the open-air grill out on the terrace. Dishes range from roast suckling pig to gnocchi with fontina cheese. Flambé ice-cream with forest fruits is the perfect way to end a fun-packed day on the slopes. Sunny Folgaria lies in a well-known snow pocket in the Trentino region. It’s a peaceful resort that’s surrounded by the splendid Dolomite forest. Its 37 easy-to-intermediate red and blue runs, and a few choice blacks are all well-served by a comfortable lift system. Start your holiday from a stunning hotel like The Blu Hotel Natura, a contemporary venue with fantastic spa facilities. With its own private sauna and jacuzzi, the Suite Vitalis is the pièce de résistance. While you’re in town, be sure to sample the local mountain honey, which is a key feature of many desserts here – especially the delicious regional strudel. The prosperous town of Madonna di Campiglio, set in the scenic Dolomites, has 150km of well-groomed pistes. The cruising terrain here is sublime, with some great tree-skiing that’s perfect for intermediates. You’ll find some steep blacks and off-piste temptations for thrill-seekers too. The Alpen Suite Hotel is an exquisite spot to hang up your skis, with its grand exterior and luxurious spa. You can while away the evenings in front of the roaring open fire in the lounge, before heading to the gourmet restaurant. Let your waiter suggest the perfect Trentino red or South Tyrolean white wine to complement your chosen dish. Hello, actually a little bit unusual question. 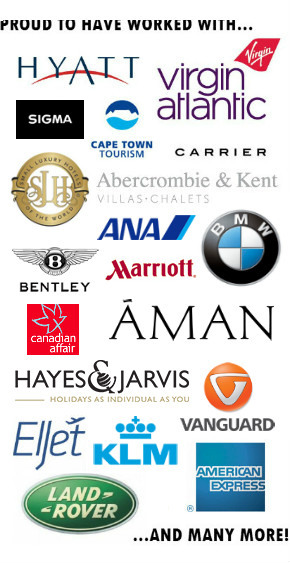 Which one of these resorts is best for coffee shops, cigar lounges, great 5* hotels, window shopping etc. Planning to do some skiing as well but my better half might be not so we just might hang out. ? Thank you very much! Hope this helps, do get in touch if you have any further questions.